I fell in love with this pair of pumps. 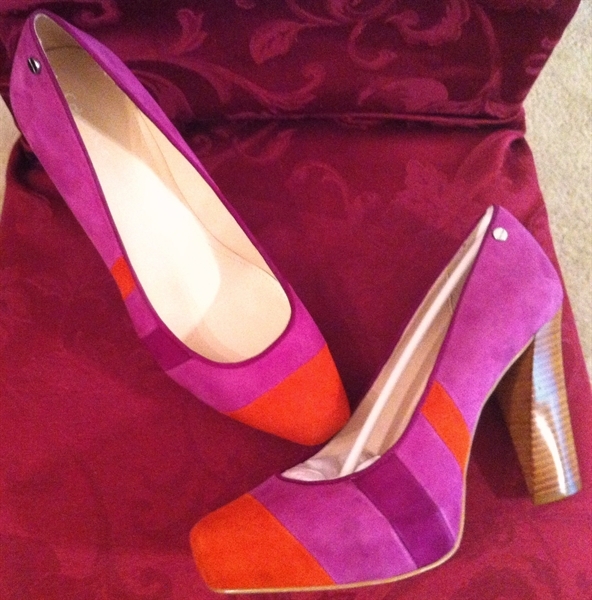 I loved them so much I purchased them in the slingback peep toe option as well. Thank you very much! I will have to take a picture of the peep toe combination because it gives these a run for their money. When I first laid eye on this pair of shoes I knew I had to have them. I rarely pay regular price for a shoe but I didn't want to take a chance of this pair getting away from me. Keep up the awesome work on your website. I absolutely love it!!!!! !